ARRL E-Mail, LoTW, Online Store Will Be Down Overnight, July 31-August 1! Logbook of The World (LoTW), e-mail to and from ARRL Headquarters, and the ARRL Online Store will be down from Friday, July 31, at 8 PM EDT (0000 UTC on August 1) until 8 AM EDT (1200 UTC on August 1) in order to complete necessary maintenance. All incoming e-mail will be queued for later delivery. The ARRL website will be operating normally. We apologize for any inconvenience. Keep those letters coming! According to the ARRL Regulatory Affairs Office, more than 4300 letters have been received from League members since the Amateur Radio Parity Act of 2015 grassroots campaign began in March. All urge their members in both branches of Congress to become cosponsors of the bill. More letters are in the queue, and the correspondence seems to be having the desired effect. As of July 29, H.R. 1301 had attracted 94 cosponsors, with 8 signing on since mid-July. The League has a combined web page to provide a clearinghouse for all information on the identical pieces of legislation now in play in the US House and Senate. The Amateur Radio Parity Act of 2015 would direct the FCC to extend its rules relating to reasonable accommodation of Amateur Service communications to private land-use restrictions. The FCC has been reluctant to extend those legal protections without direction from Congress. ARRL Headquarters has forwarded 3433 letters to 402 individual US House members, seeking their cosponsorship of H.R. 1301. The nascent campaign on behalf of the identical US Senate bill, S. 1685, has so far garnered more than 900 letters destined to 77 individual US Senate members. To help maintain the momentum, many ARRL Division Directors have been taking a letter-generating tool to conventions and hamfests. Sending letters urging members of Congress to sign on as cosponsors of The Amateur Radio Parity Act of 2015 via ARRL allows Headquarters staff to keep track of how many pieces of correspondence are going to which US representatives and senators. These are sorted and then hand-delivered to Capitol Hill. As ARRL President Kay Craigie, N3KN, has pointed out, delivering these letters to Capitol Hill in person offers an opportunity to speak with Congressional staffers. "The stack of letters is proof that voters care about the bill," she said in June. "We have to convince the staff people, so they'll advise the [Member of Congress] to cosponsor. That's how it works on Capitol Hill." Congress's August recess provides an ideal opportunity to meet with lawmakers while they are in their home states and districts. Clubs also may want to invite a Member of Congress to visit a meeting. Those interested in following the trajectory of H.R. 1301 can sign up to receive the ARRL's free Legislative Update Newsletter. All correspondence to representatives and senators must be signed and include the constituent's name and address. Send letters to ARRL Headquarters for hand delivery to the appropriate House or Senate member to ARRL, ATTN Amateur Radio Parity Act Grassroots Campaign, 225 Main St, Newington CT 06111. In the July 29 Ham Radio Now news videocast, "Parity in the Senate," host Gary Pearce, KN4AQ, interviews ARRL Hudson Division Director Mike Lisenco, N2YBB, and ARRL General Counsel Chris Imlay, W3KD. Pearce said Lisenco and Imlay, "fill in some history of PRB-1 that you might not have heard, discuss how our current FCC is far more focused on the Internet...[and] how the deed restrictions and HOA rules prohibiting your antenna are not a 'private contract.'" The ARRL has filed three more complaints with the FCC, urging its Enforcement Bureau to investigate and initiate enforcement proceedings to halt the marketing and retail sale of certain RF lighting devices, typically known as "grow light" ballasts, which, it said, violate FCC Part 18 rules. The largely identical complaints zeroed in on three specific products: The Galaxy Legacy Selective Wattage Ballast, the Quantum Horticulture HPS/MH-600W RF Lighting Ballast, and the Lumatek "Dial-a-Watt Air-Cooled" 1000 W Ballast. The League had complained to the FCC in March 2014 about another Lumatek product, and noted that "apparently nothing has been done to date" in that case. The ARRL asserted that the three devices targeted in its most recent complaints generate "blatantly excessive conducted emissions." Further, the League alleged, the devices are being marketed and sold illegally -- in both instances in violation of FCC Part 18 rules. Supporting all three complaints were detailed reports from the ARRL Laboratory that quantify the League's emission level concerns. A Quantum grow light ballast unit under test in the ARRL Lab. "The level of conducted emissions from [these devices] is so high that, as a practical matter, one RF ballast operated in a residential environment would create preclusive interference to Amateur radio HF communications throughout entire neighborhoods," ARRL General Counsel Chris Imlay, W3KD, wrote in each complaint. The devices exceeded conducted emission limits under all test conditions, "sometimes by extreme margins, throughout most of the HF range," Imlay said in his letters. Samples of each RF lighting device cited were purchased by ARRL through retail outlets. All are manufactured overseas and imported into the US. In a similar vein as its recent complaint about marketing of certain RF lighting devices by The Home Depot, the ARRL pointed out that there were no FCC labels on two of the devices mentioned nor any FCC compliance information "anywhere in the documentation, or in or on the box, or on the device itself," in violation of FCC Part 18 rules. The League asked the FCC to require removal of all such illegal "grow light" devices from retail sale and marketing and the recall of those devices already sold or available for retail sale, and it said the device importers should be subject to a forfeiture proceeding. Read more. 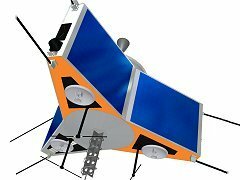 Virginia Tech has approached the US Government to fly the Phase 3E space frame into high Earth orbit (HEO) in order to support scientific payloads as well as serve as an Amateur Radio satellite. During the AMSAT-DL Annual Meeting on July 4, the membership approved the concept, agreeing to allow the Phase 3E space frame currently stored in Germany to be shipped to Virginia Tech for further construction, testing, and preparation for eventual launch into HEO, if the US Government formally agrees to fund such a mission. Should the project move forward, AMSAT-NA, as the satellite's initial operator, will apply for frequency coordination from the IARU Satellite Advisor and satellite licensing from the FCC. Further developments and details will be announced as they become known. In the case of Michael Guernsey, KZ8O (ex-ND8V), of Parchment, Michigan, the FCC imposed the full $22,000 fine it had proposed in 2014 for intentionally interfering with other Amateur Radio communications and for failing to identify. In a July 22 Forfeiture Order -- issued exactly 1 year from its Notice of Apparent Liability (NAL) proposing the hefty fine -- the FCC cited Guernsey's "long history of causing interference to other Amateur Radio operators" and noted that he had been "warned repeatedly in writing." Guernsey's interactions with the FCC Enforcement Bureau date back well over a decade, and, at one point he agreed to a 9-month license suspension. "Despite repeated warnings from the [Enforcement] Bureau regarding his on-air behavior, Mr Guernsey's violations included the deliberate playing of music on top of the transmissions of other amateur operators in order to obstruct their ability to communicate on the frequency," the FCC recounted in the July 22 Forfeiture Order. "Mr Guernsey further used various animal noises to prevent the communications of other stations with whom he had a longstanding and well-documented dispute." In responding to the 2014 NAL, Guernsey denied responsibility for the interference and sought cancellation or reduction of the fine based on inability to pay. The FCC was having none of it. The Commission said its agents "positively confirmed the source" of the interfering transmissions as Guernsey's residence and monitored them for 40 minutes. "Considering the entire record, we find no reason to cancel, withdraw, or reduce the proposed penalty," the FCC said in the Forfeiture Order to Guernsey. He was given 30 days to pay the fine or arrange an installment plan. Read more. The FCC has proposed fining a Georgia ham $1000 for alleged failure to properly identify. David J. Tolassi, W4BHV, had been warned last August about not following the Commission's Part 97 ID rules. The FCC said his "deliberate disregard" of that warning warranted the proposed penalty. "Mr Tolassi...has a history of failing to comply with the rules governing the Amateur Radio Service," the FCC said in a July 22 Notice of Apparent Liability for Forfeiture (NAL). As the NAL recounted, agents from the FCC's Atlanta Office used direction-finding techniques to track the source of a signal on 14.313 MHz to Tolassi's residence in Ringgold, Georgia. "The agents monitored and recorded transmissions during which Mr Tolassi failed to transmit his assigned call sign," the FCC said. "The agents interviewed Mr Tolassi later that evening, and, while he admitted operating that evening, he denied making the unidentified transmissions." Nonetheless, the FCC determined that Tolassi "apparently repeatedly violated Section 97.119(a)" of the rules. The Commission pointed out that it could have assessed a forfeiture of $16,000 a day for a continuing violation, but it settled on a $1000 fine. Read more. The Amateur Radio vanity call sign regulatory fee is set to disappear in the next few weeks. According to the best-available information from FCC sources, the first day that applicants will be able to file a vanity application without having to pay a fee is Thursday, September 3. 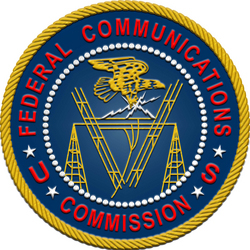 In deciding earlier this year to drop the regulatory fee for Amateur Radio vanity call signs and General Mobile Radio Service (GMRS) applications, the FCC said it was doing so to save money and personnel resources. The Commission asserted that it costs more of both to process the regulatory fees and issue refunds than the amount of the regulatory fee payment. "Our costs have increased over time, and now that the costs exceed the amount of the regulatory fee, the increased relative administrative cost supports eliminating this regulatory fee category," the FCC said in its Report and Order, which appeared on July 21 in The Federal Register. "Once [it's] eliminated, these licensees will no longer be financially burdened with such payments, and the Commission will no longer incur these administrative costs that exceed the fee payments." In 2014 the FCC raised the Amateur Service vanity call sign regulatory fee from $16.10 to its current $21.40 for the 10-year license term. The $5.30 increase was the largest such fee hike in many years. In a typical fiscal year, the FCC collected on the order of $250,000 in vanity call sign regulatory fees. The FCC said the revenue it would otherwise have collected from such regulatory fees "will be proportionally assessed on other wireless fee categories." Congress has mandated that the FCC collect nearly $340 million in regulatory fees from all services in fiscal year 2015. 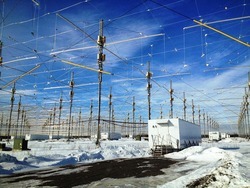 HAARP -- the High Frequency Active Auroral Research Program -- will transfer from military into academic hands next month. After a swell of support last year from the scientific community and intervention by Alaska US Sen Lisa Murkowski -- plus a lot of uncertainty before that -- the US Air Force delayed its plans to shutter the ultra-high power HAARP and demolish it. Now the University of Alaska-Fairbanks (UAF) has won a bid to assume ownership of the facility near Gakona. That will happen on August 11. Part of the vast HAARP antenna field, looking down a row of transmitter shelters. "[N]ext month the facilities and equipment will formally transfer from the military to the university," UAF spokesperson Marmian Grimes told Alaska Public Media's KSKA in Anchorage. Grimes said the agreement is not open ended, but it will allow UAF access to HAARP for 2 years, during which time, the university and the Air Force can reach an agreement regarding the transfer of land. In January, ARRL CEO David Sumner, K1ZZ, wrote the US Secretary of Defense to urge that HAARP be maintained in its current condition while UAF attempted to acquire the facility. "Most of our 164,000 members employ ionospheric propagation of HF radio signals for their communications and technical investigations," Sumner told then-Defense Secretary Chuck Hagel. "Ionospheric research therefore has great significance and importance to us." As UAF's Grimes explained to KSKA, "Scientists would pay to use the facility for their research projects, and that would support operations, and is a common model for the university and research community." Those who pushed for HAARP to remain open as a scientific research facility included several radio amateurs. 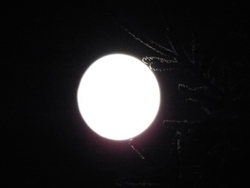 UAF researcher and faculty member Chris Fallen, KL3WX, told ARRL this week that he had no information yet on the timing of the next experiment campaign or future operations, beyond what's already been reported in the news media. Fallen has conducted research at HAARP, and he was among those who had expressed concern last summer that HAARP's equipment was being carted off site for sale or disposal. He said little has been going on at HAARP since June 2014, and even with the transfer to UAF, it appears unlikely that any research would resume until the spring. "I have not visited the facility in more than a year," he said, "but my understanding is that most, if not all, of the important equipment has been returned, while 'junk' and other antiquated equipment from initial development and construction has been permanently removed." Fallen told ARRL that he believes HAARP has "unique relevance to hams" and could become the sort of self-sustaining facility that UAF envisions. "Sustainable long-term success of the facility will depend on UAF's ability to secure funding from multiple sources for research operations, preferably including a large 'anchor tenant,'" he said this week. HAARP was constructed in 1990 at a cost of some $300 million. Scouts attending the 23rd World Scout Jamboree in Japan are scheduled to speak via Amateur Radio on July 31 with astronaut Kjell Lindgren, KO5MOS ("cosmos"), on the ISS. Jamboree attendees are between 14 and 17 years old. This will mark the first ARISS contact from space by Lindgren, who arrived on the ISS earlier this month on the ISS with astronaut Kamiya Yui, KG5BPH, and cosmonaut Oleg Kononenko, RN3DX. The direct Amateur Radio on the International Space Station (ARISS) contact will take place on 2 meters between NA1SS on station and 8N23WSJ at the Nippon Boy Scout Amateur Radio Club in Bunkyo-ku, Japan. The roughly 10 minute event is set to start at approximately 1126 UTC. It's expected the contact will be conducted in English. More than 30,000 Scouts and leaders from 161 countries around the world have converged on Kirara-hama, Yamaguchi, Japan, for the Jamboree. The theme of the 23rd World Scout Jamboree is "WA: A Spirit of Unity." The Kanji character "WA" connotes a variety of meanings, such as unity, harmony, cooperation, friendship, and peace. Scouts attending the Jamboree will be able to enjoy a variety of activities during their free time, including an Amateur Radio workshop. Former International Amateur Radio Union (IARU) Region 3 Director J. F.C. "Fred" Johnson, ZL2AMJ, died on July 23. He was 83. Johnson was a New Zealand delegate to World Administrative Radio Conference 1979 (WARC-79), where Amateur Radio gained access to the so-called "WARC bands" -- 30, 17, and 12 meters. "It was not happenstance that New Zealand was one of Amateur Radio's strongest supporters before and during the conference," said ARRL CEO David Sumner, K1ZZ, who attended WARC-79 as a member of the IARU team. "Anyone who knew Fred will understand when I say that his work ethic had a great deal to do with it, and with our ultimate success at the conference." Johnson was also a delegate to World Radiocommunication Conference 2003 (WRC-03), for which he chaired the drafting group for 7 MHz issues. Sumner said those attending the 2009 IARU Region 3 Conference in Christchurch, New Zealand had the opportunity to see Johnson in his favorite role -- that of teacher. "He showed how to use simple, inexpensive devices to demonstrate basic principles of antennas and polarization," he recalled. 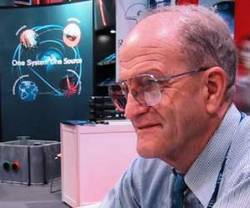 Johnson was elected as a Director of IARU Region 3 in 1985, serving until 2004 -- the last 10 years as Chairman of the Region 3 Board of Directors, and he served on the IARU Administrative Council for a total of 10 years between 1988 and 2003. Johnson was born into Amateur Radio. His father, Joe, had been a radio amateur, holding 2GA and ZL2GA, among other call signs over the years. Fascinated by his dad's collection of ham radio literature, he read up on radio and built his first crystal receiver at age 10. After World War II, he constructed a tube receiver. When he got his Amateur Radio license in 1950, he added a home-built transmitter. In 2002, Johnson was made a Member of the New Zealand Order of Merit. At the 1999 IARU Region 1 Conference in Lillehammer, Norway, he was honored as a Knight of the Order of the Golden Key by the Norwegian Radio Relay League. "One of the extraordinary dimensions of the IARU is how it brings together people from all over the globe and from almost any walk of life to work for a common purpose," said Sumner. "Millions of radio amateurs don't realize they owe a debt of gratitude to Fred Johnson and to other IARU volunteers like him -- but they do." ARRL August UHF Contest is August 1-2: The focus will be on the bands 222 MHz and above when the ARRL August UHF Contest gets under way August 1-2. During this time of year in North America, there is a greater chance of enhanced tropospheric propagation that can extend the usable range of UHF+ frequencies from line of sight to several hundred miles. William Hepburn's Worldwide Tropospheric Ducting Forecast website is an excellent resource. Many radios now include the 70 centimeter band, and antennas are small and easy to make. Easy homebrew UHF antenna plans are in The ARRL Antenna Book and The ARRL Handbook. Rovers are always welcome too, for those who enjoy getting out and about. New rules for VHF+ contests allow all entrants to use assistance, including the use of self-spotting, to find other stations. The contest exchange is your Maidenhead grid square. The Yasme Foundation Announces Grants: The Board of Directors of The Yasme Foundation has announced the recipients of grants in furtherance of the Foundation's goal of supporting the development of Amateur Radio. Grants will go to the Organizing Committee of the 2018 World Radiosport Team Championship (WRTC 2018), which will take place in Germany; the Reverse Beacon Network (RBN), for the purchase of equipment necessary to establish a node at the Ethiopian Amateur Radio Society's ET3AA club station, and to a representative of the Voodoo Contest Group for the purchase of Amateur Radio training materials for use in Liberia. The Yasme Foundation is a not-for-profit corporation organized to conduct scientific and educational projects related to Amateur Radio, including DXing and the introduction and promotion of Amateur Radio in developing countries. OK1MS's EME Accomplishments Earn Kudos from Joe Taylor, K1JT: Nobel Laureate Joe Taylor, K1JT, has congratulated Stanislav "Standa" Blazka, OK1MS, for racking up an astonishing moonbounce (EME) record on 2 meter CW. In a posting to the Moon-Net reflector, Zdenek Samek, OK1DFC, noted that OK1MS recently reached 1000 initial EME CW contacts on 144 MHz, after making his first such contact (with WA1JXN, now W7GJ). His 1000th was with R6CS. Blazka holds WAS, WAC, and DXCC on 2 meter EME, CW only. He also holds WAZ No. 1 on EME. He has built all or most of his own equipment. Taylor, who developed the WSJT software suite that many EME operators now use, offered, "Hearty congratulations to Standa, OK1MS, for this truly great achievement!" Tad Cook, K7RA, Seattle, reports: On July 30 at 0132 UTC, the Australian Space Forecast Centre issued a geomagnetic disturbance warning, noting that a high-speed solar wind from a recurring coronal hole was expected to raise geomagnetic activity levels to minor storms on July 31 and August 1. The Centre predicted quiet to minor storm levels on July 31, and minor storms declining to unsettled conditions on August 1. Solar activity remains in the doldrums, with average daily sunspot numbers rising just 4.5 points to 47.9 during the July 23-29 period, as compared with a week earlier. Average daily solar flux over the same periods rose just 1.5 points to 96.4. The most active geomagnetic day was July 23, when the planetary A index was 23, and the mid-latitude A index was 21. On July 23 a mild geomagnetic storm occurred. It was caused by a coronal mass ejection that did not hit Earth directly. Predicted solar flux is 105, 107, 110, and 105 for July 30-August 2; 110 on August 3 and 4; 105 on August 5-6; 100 on August 7-9; 95 on August 10-13; then 90 and 85 on August 14 and 15, then 100 on August 16-17. Solar flux peaks at 115 for August 28-31, then drops below 100 after September 5. Predicted planetary A index is 8, 18, and 24 for July 30-August 1, then 16, 12, and 8 for August 2-4; then 5, 8, and 20 for August 5-7; 15 on August 8-9; 8 on August 10; 5 on August 11-15; 10 on August 16; 5 on August 17-18; then 15 and 10 on August 19 and 20, and 5 for August 21-23. QST "50 MHz and Above" Editor Jon Jones, N0JK, notes that the summer sporadic E season for North America is winding down. Read his comments in tomorrow's bulletin. Send me your reports and observations. In an In Brief... item "Radio Amateurs Join ISS Crew" in the July 23 edition of The ARRL Letter, we misreported the number of Amateur Radio licensees who joined the International Space Station (ISS) crew on July 23. There were three: Kjell Lindgren, KO5MOS; Oleg Kononenko, RN3DX, and Kimiya Yui, KG5BPH.